April 15 is usually a day to strike fear in the hearts of Americans. If the IRS doesn’t scare you (and really, those folks always look like Death Eaters in my imagination), maybe Voldemort will! So the movie folks are releasing the DVD of Harry Potter and the Deathly Hallows: Part 1 on that resonant date. If your tax woes are few (or so bad you need an escape), April 15 is looking like a good movie night (I’m looking forward to the big-screen release of The Conspirator that same day)! In anticipation of the big release, here is a sneak preview of a deleted scene (with embedded version after the jump). Presumably, this was cut to keep the pacing faster in the movie’s first few minutes before the “Seven Potters” sequence and perhaps due to the film’s already impressive length. Despite its brevity, this is a nice scene, one that would have been a good farewell for Aunt Petunia, as Fiona Shaw is a much better actress than we’ve been allowed to see in her limited moments throughout the series. The tension, the conflicted emotions Petunia feels, are beautifully displayed here and bode well for the treatment of the character in The Prince’s Tale in part 2 (though played by a different Petunia, of course). This is a nice teaser of other morsels that may be on the DVD. So, what do you hope is on the DVD? Do you have other “extras” from the other DVDs that were favorites of yours? Some originally “deleted” scenes have now been woven back into the earlier movies, while others remain just part of the bonus features on the more expensive DVDs. I’m rather partial to the extended Yule Ball scene in Goblet of Fire, personally, because the song lyrics are just a scream! Your thoughts? H/T to James for the scene! Excellent scene! When a scene is so short, I’m always disappointed that it’s cut, because I think it adds so much to the richness of the story. I’m currently reading Elizabeth Gaskell’s “Mary Barton”. It’s nearly all exposition, as was more typical of the mid-19th century English literature. And I love it. I think we have evolved into consumers of books and movies that demand action rather than thoughtfulness and introspection. And that’s a shame. 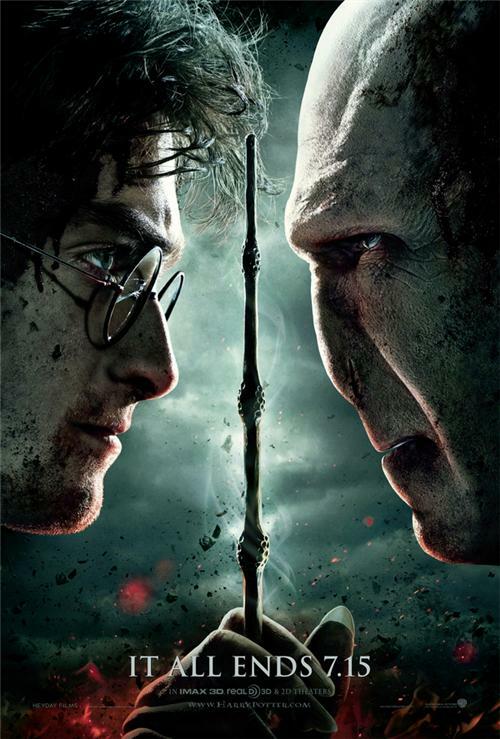 I like this, but what I’d really like to see is Dudley’s final conversation with Harry. I think that passage is one of the most beautiful reconciliations in the book (and it’s one of many). And perhaps a bit more of Kreacher? Please, please, please? I teach film and screen writing and I understand the limitations of adaptations. Usually, you stick to scenes that further the action and “kill your babies,” if need be. BUT, when it comes to scenes that are not only universally beloved but also character defining moments (I am thinking of Dudley’s farewell, Ginny and Harry’s kiss after the big quidditch victory, Fred and George’s cordoned off swamp, Kreacher) . . . . Well, I just can’t abide the cuts. It is ESPECIALLY irritating when directors/writers then add scenes – Harry and Hermione dancing comes to mind (I liked the scene but at the expense of Dudley and Dumbledore???? No way! ). And don’t even get me started on the change of set up for the big Ginny/Harry kiss. I shudder to think how the creative team will re-imagine Hermione and Ron’s big moment. Will Percy’s reconciliation merit the same treatment as Dudley’s? His is an even smaller character in the movie chain. Like I said, I get many of the hangups and agree with the necessity of many cuts, but come on, don’t cut our hearts out. anyone else notice how the poster looks like a cross if you draw a line across their eyes? I think this scene should have been included in the movie version as well. After all the angst that has been expressed between the Dursley’s and Harry over the seven years, that was a moving moment. Not only as a revelation to Harry as to how much more Petunia knows about the wizarding world that he never realized, but also about her feelings of losing her sister Lily, though she disagreed with her sister’s choice in attending Hogwarts. Folks, there are many deleted scenes from each one of the HP movies that SHOULD have been included on the big screen and I won’t let WB get away with the…… “length of the movie on screen was a factor”…. in not placing it in the theatre version. Most of the deleted scenes are only a minute or two in length against a two to two and a half hour total run time. Come on……..all you marketing people out there KNOW their motivation is sell a ton of DVD’s after the theatre version has run it’s course . Then you release a couple important deleted scenes to the HP websites and Hollywood promo sites and wammo instant additional promotion to BUY the DVD version to get the whole movie you didn’t get at the theatre. I’ve always thought it was criminal that they didn’t take 15 seconds in OotP to explain that Umbridge sent the Dementors. The missed scene I most want to see filmed is McGonagall and Umbridge’s fight at Harry’s career counseling session. I think Maggie Smith would be amazing in that. I know. They did have a hint at that scene when McGonagall confronts Umbridge when they are on the stairs. But then Minerva backs down when accused of being disloyal. I really wanted her to stand her ground like she did in the book. I still say where they missed the most was in POA and the lack of reference to or explanation of the Marauder’s Map. Recently on the family channel, they had a Happy Potter weekend and I did catch one extra with Jason Isaacs explaining some of the “back story” that wasn’t included in the different movies. It was good, but those things should have been in the movie (instead of the stupid talking shruken heads!). Most of the time the deleted scenes are even less than a minute but they add so much. And I completely agree with Jessica – in every one of those movies, time has been taken up with scenes that have been added. I noticed that the burning of the Burrow in HBP was completely ignored in Deathly Hallows. And I like so much of what was done otherwise, but so often the added stuff is glaringly out of place. Mugglenet’s got a couple more deleted scenes up now. One is a moment between Ron and Arthur; the other is the goodbye between Harry and Dudley.